NRL Club Brisbane Broncos have signed twenty-two year -old Amelia Kuk and she will be the first Papua New Guinea Orchid to play in the inaugural NRL Women's competition. The competition — which will be played during the NRL finals series in September — will feature St George Illawarra, Sydney Roosters, New Zealand Warriors and the Broncos. The Brisbane-based Orchid, who played for Queensland in the historic Women’s State of Origin on June 22, is a nurse by profession. “Look how far we, the Orchids, have come. I think the future is bright,” Kuk said during the announcement of a partnership between the Broncos and the Orchids in Port Moresby on Tuesday. “I was surprised when I was asked to come to Port Moresby for this announcement. “It’s exciting to be announcing in my home country that I have signed with the Brisbane Broncos in their first ever team in the NRL women’s competition. “I like how Oil Search managing director Peter Botten spoke about hoping that men in PNG have something like this (Broncos-Orchids partnership) in the future. “It’s always the other way around where we say ‘I hope the women have something like this in the future’. The PNG Orchids now have a golden opportunity to have a chance to play in the NRL. 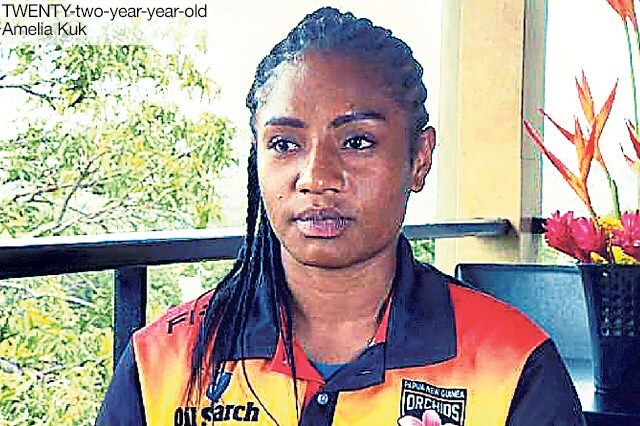 “It was an honour putting on the PNG jersey and playing in the 2017 Women’s Rugby League World Cup. Kuk said she was looking forward to promoting anti-violence messages in the country. “Through rugby league, we can make a big difference here and change the attitudes of people in the country,” she said. “In the past, women were made fun off because they played footy.